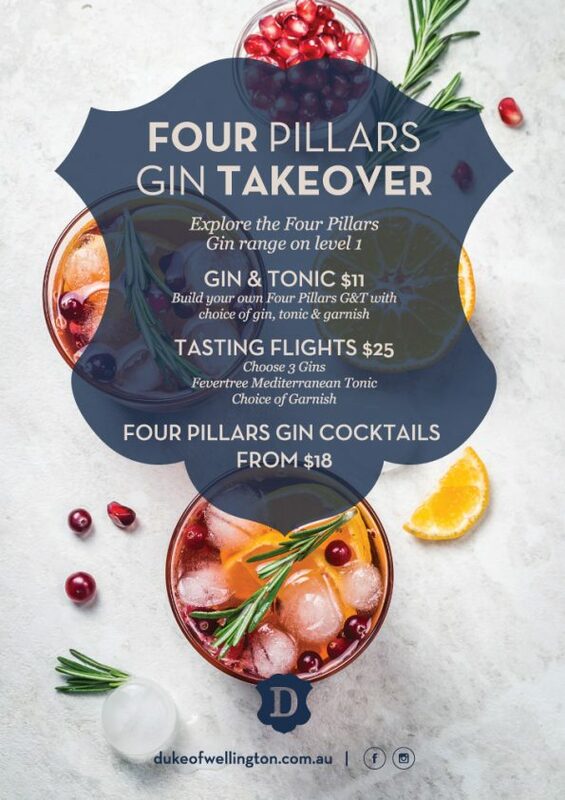 Four Pillars Gin is taking over Level 1 this autumn. After work drinks have never been this good. Come and see us for some gin-spiration. Available all day, every day. Featuring Four Pillars Gin, Herno Gin and the Four Pillars x Herno collaboration gin. Build your own G&T tasting flight and choose from 3 gins to mix with Fever Tree Mediterranean Tonic and top them off with your favourite garnish. *Four Pillars Navy Strength Gin is 58.8% ABV, The Duke will be serving 20mL nips of this gin. Please drink responsibly.